In the Weekend Ka Var episode Salman Khan criticized Shivashish for his unethical and disrespectful behavior towards Bigg Boss and expelled him from the BB 12 house. Colors’ widespread reality show Bigg Boss’ participants may surely become famous and go places post participating in the show but, there is no space for those who carry arrogance and overconfidence in the game. Something similar to this happened this week in the BB house, after which Bigg Boss and Salman Khan decided to expel one of the Bigg Boss 12 contestants. Shivashish Mishra got evicted this week from the show. Earlier, he committed a mistake of climbing the walls and trying to escape from the house and recently, when he was nominated for Kaalkothri, he refused to go even after Bigg Boss warned him twice. As a result of his arrogance, Bigg Boss punished the entire house by nominating everyone for next week’s elimination. 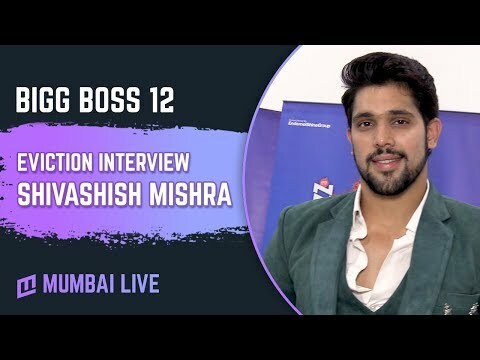 After getting evicted from the Bigg Boss 12 Shivashish spoke to Mumbai Live exclusively about his journey and his experience of playing the game. “I had a very great journey and I am happy that I have got evicted on my grounds. I don’t think so that I have committed a mistake whatever was right, I stood for it”, said Shivashish talking about the eviction scene. Shivashish had entered the Bigg Boss 12 house in Jodi with Sourabh. Later, in the fifth week, Saurabh got evicted and Shivashish had then continued his journey as a singleton.